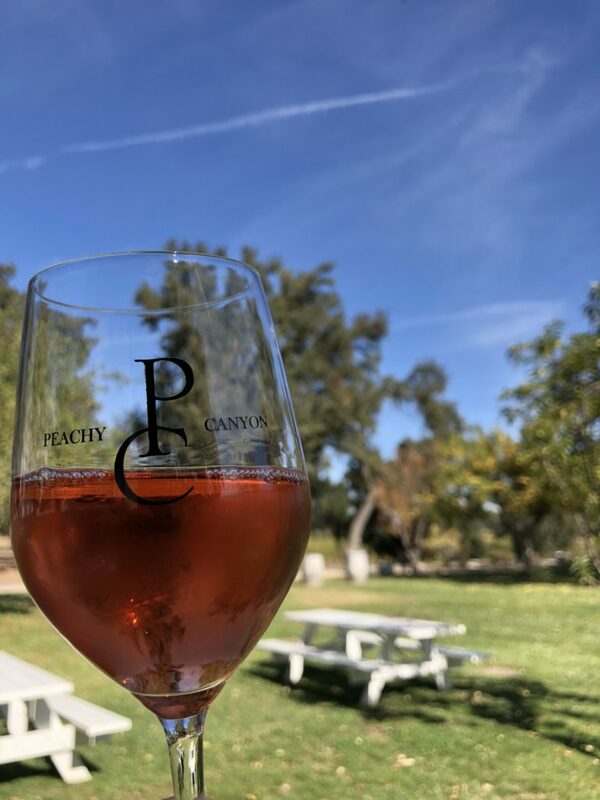 This year, 2018, marks 30 years for Peachy Canyon Winery. That is absolutely incredible. This is another Paso Robles winery that we had not visited for a long time but we recently made it back with our friend Lisa after a delicious Sunday brunch at La Cosecha (just thought I’d throw that info in for the heck of it). We need to load up on brunch goodies in order do wine taste properly. They’ve got a decent sized tasting room and a large outdoor area. Great for kids…and I only mention that because we had Sammy with us. We played soccer and ran around the grassy area behind the tasting room. It really is a beautiful property surrounded by vineyards. There are very few family owned wineries that can claim to have been in business for 30 years. Many of Peachy’s early competitors sold out (Ravenswood and Rosenblum come to mind), but the Beckett family just keeps going. Thanks for the nice post! Very true, Rusty, and you’re welcome. Hope all is well.